There’s no doubt about it, Louise Nevelson (1899-1988) was ahead of her time. Born in Russia, the artist immigrated with her family to the United States in 1905. Initially based in Maine, they relocated to upstate New York, until she married and moved to Manhattan in 1920. Her life was the opposite of ordinary. Nevelson, spent time abroad, traveling to Italy, France and Germany after separating from her husband in 1931. She worked with Diego Rivera, studied with Chaim Gross and Hans Hoffman in New York and the latter also in Munich. Obviously, this is all at a time when she as a woman was a minority and the country was in the midst of the Great Depression. She was a force to be reckoned with and that is evident in the physical presence of her work. Visually and schematically, it teeters between the raw aesthetics of painting with the dense, dimensionality of sculpture. They are compositional masterpieces using a simple, formal approach to space and picture making. She had the gift of perception and was simultaneously able to create the mirage of flattened space while actually building it up. Opening at Pace Gallery on 25th Street in New York on January 24th is Louise Nevelson: Collage and Assemblage, a look into the artist’s rigorous exploration of the dynamics of a plane. The exhibition will include many of the artist’s final works including some never shown in public. A collector and assembler of a myriad of materials, Nevelson made very distinct choices about object placement. Purely abstract and non-narrative, her work was more accessible at the time than many of her peers because even in her disassembling, some recognizable forms allowed for a comprehensive entry point. 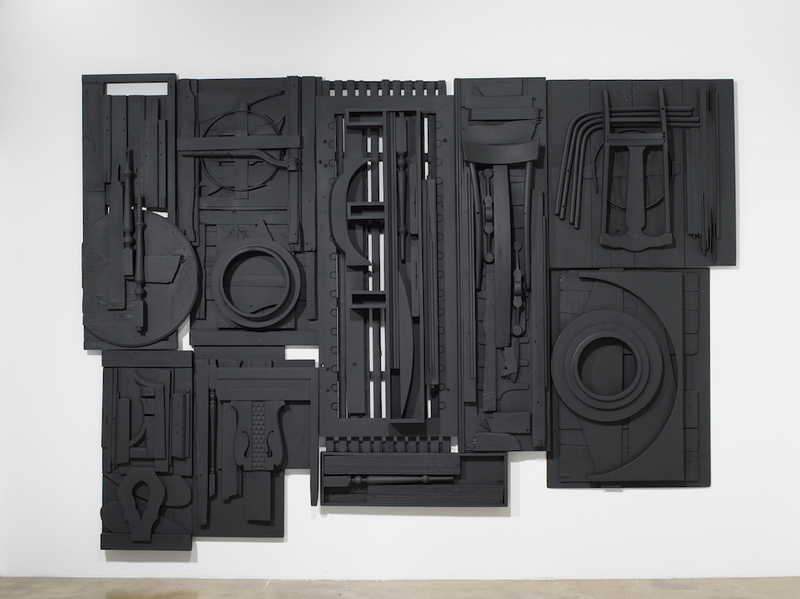 The exhibition at Pace Gallery promises to further engage the dialogue around Nevelson’s work and at what would have been her twenty-fifth exhibition with the gallery, comes at a time specifically important for the younger generation of artists eagerly delving into the realm of abstraction. While for many, the pragmatic approach to formalism is often denied, there is no argument that these shapes and the spaces in-between these shapes, can be experienced pedagogically. So for all you college students and young artists winter break is over, time to go back to school where the only debt to be paid is to the past. 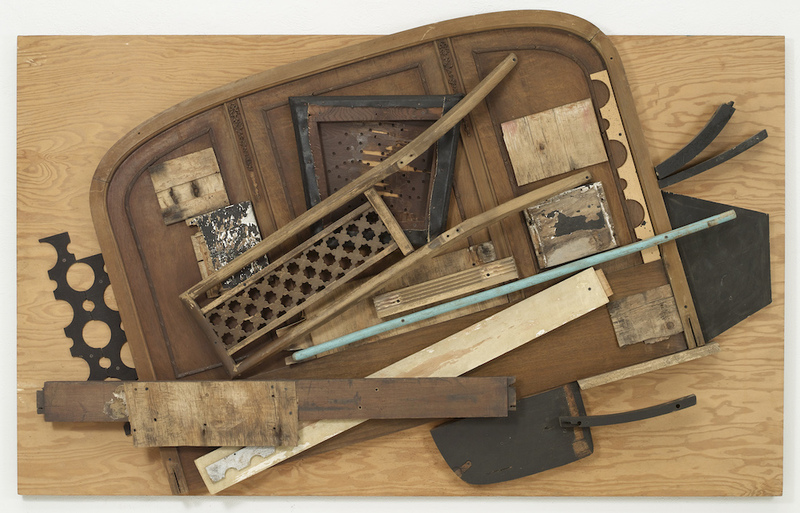 Louise Nevelson: Collage and Assemblage is on view at Pace Gallery at 534 West 25th Street, from January 24 – February 28, 2015.